Generate HTML and Windows Help Format (CHM) database schema documentation :-) . 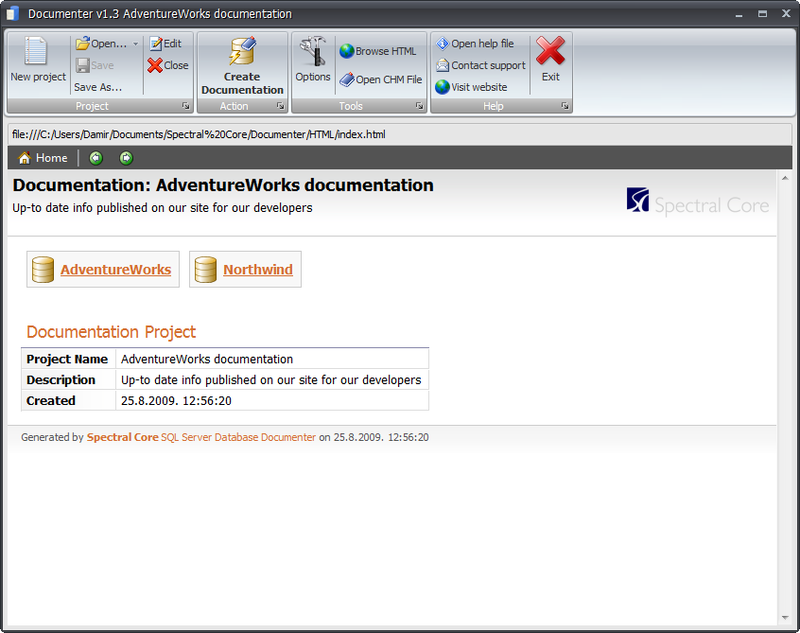 Documenter is the easiest way to generate detailed documentation of your database. All tables, procedures, functions, triggers, user-defined types are listed with every detail. All objects are hyper-linked, so you can easily navigate from trigger to its table, for example. 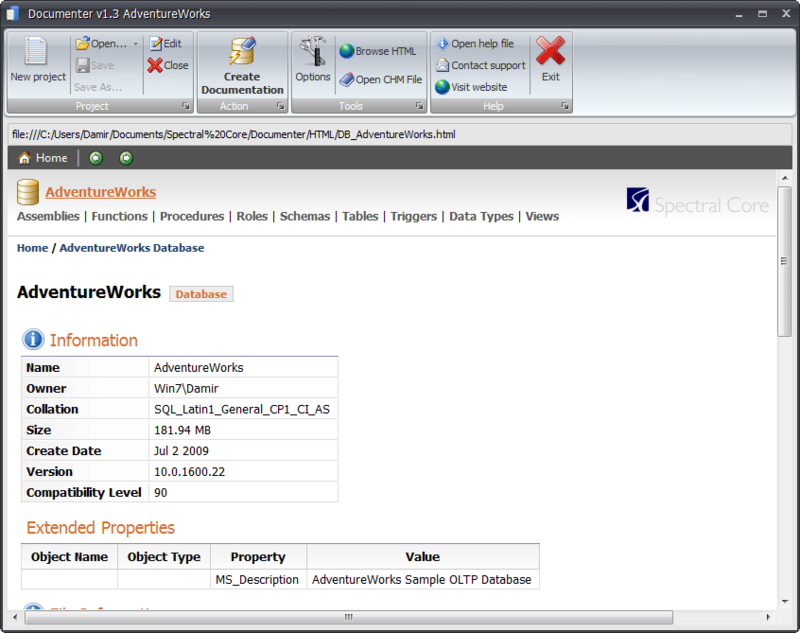 Now you can quickly get a fully cross-linked documentation for your SQL Server databases. This product is part of Core Suite Subscription. 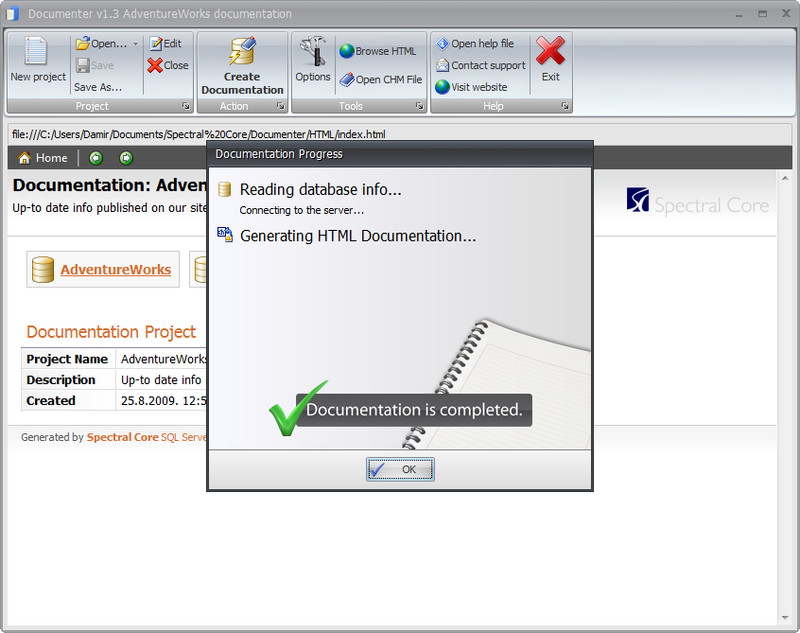 Documenter will quickly and easily generate HTML documentation for your database.